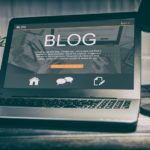 If you plan to sell your self storage facility in the next year or two, there a plenty of things you could do and plenty you should do, to maximize your ultimate sales proceeds. Some require additional capital expenditures while others just require a little time and effort. The same way fresh paint on a home can add tremendous showing value, let’s talk about what you can do to increase the value of your facility before putting your self storage for sale. 1. Raise Rents – Carefully review your management reports and specifically the rent roll to determine the rent variance. The rent variance is the difference between your standard rental rate per unit versus the actual rent being paid by a customer. Don’t let customers get a bargain rate any longer. Try to increase those customers up to the standard rent and you should make thousands of dollars more per month and of course, annually. Since the average customer stay is about 10 months, try increasing the rent after 6 months, then annually thereafter. If you miss the 6 month opportunity and they stay for 10 months, you never get the opportunity or the benefit. Do this at least a year in advance of selling. If you do it right before you place your self storage for sale, buyers will not give you the dollars you deserve since the new income is not part of your trailing twelve months of revenue. Result – an additional $3,000 per month at a 10% cap rate equals $360,000 in property value. 2. Reduce Delinquencies – Late fees are great if customers ultimately pay, however, I would rather have the rent and have it when it is due. Have your manager become diligent about making collection calls when customers do not pay on time. This is the worst part of the job for them but it can pay off more than you think. Try to maintain the delinquency rate below 5% and you will find more cash in the bank and your manager will have more time for marketing and leasing units without the albatross of deadbeats hanging over their head. If payments do not come sooner, be sure to move on the lien process right away and do not accept partial payments or you will be required to start the lien process over from square one. Result – A reduction in delinquent customers from 15% to 5% can mean thousands more in rent in the bank this month instead of hundreds in late fees. 3. Appeal Real Estate Taxes – It is almost contrarian to think that in a soft economy, local tax appeal boards would actually reduce real estate property taxes, thus reducing revenue for local municipalities. The truth is, market values do decrease during significant recessions and this definitely can be done. Call your taxing municipality for details on how to tackle this effort and consult with a self storage expert or your attorney and they will prepare you for the three minute presentation that you make before the tax appeal board. Result – a $10,000 reduction in property taxes increases your property value by $100,000. 4. Reduce Operating Expenses – Most owners closely monitor expenses but some are not aware of the additional value that can be captured. Shop the property insurance annually. Shop energy providers annually. They will usually call you. Keep close watch on snow removal and landscape bills so that you are not double billed. Reduce yellow pages to the bare minimum and replace it with marketing dollars for the internet. If your facility is 40,000 SF or larger, a 5%-6% third party management fee will need to be added to your expenses when you sell. 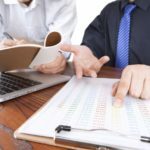 If you use a management company now, hold them accountable to the budget and arrange to sign off on all expenses over a certain dollar amount. Your total operating expenses should typically be in the 25%-35% range of total revenue. If you are higher than that, you have room to manage expenses down. 5. Minor Repairs – If your facility has dented panels, downspouts, and gutters, have them repaired now, before placing your self storage for sale. Make sure all the lights are working, the paving is good, the gate has been serviced and the fence is in good shape. These items reflect pride of ownership and buyers will pay more for a property that does not require substantial capital expenditures. 6. Optimize the Unit Mix – It can be easy and inexpensive to move metal wall partitions to adjust unit sizes. If you have too many small units, remove some walls and create larger ones. Get the balance of inventory of units to meet your market’s specific demands. This will increase your occupancy and the property value. 7. Expand If Possible – Buyers today will not pay for vacant space. If you happen to have a facility with an occupancy rate above 80% and you cannot meet current demand by adjusting unit sizes but you have room to add more units, do it. Any small expansion that you feel you can fill in the following year will definitely add value before placing your self storage for sale. 8. Obtain Approvals to Expand – If you enjoy a high occupancy rate but do not have the time, money, or energy to add more units, at least obtain the municipal approvals to expand. Buyers today will not pay for extra land , approved or not, to expand if occupancy is below 80% or so. If your occupancy rate is 90%, you will receive some extra dollars. 9. 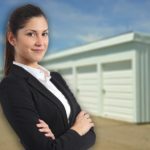 Have Sub-Divisions in Place – If you own a unique property that includes your home, rental homes, a side business or office space and you prefer to retain that portion of the real estate but want to sell the self storage facility, then have that parcel subdivided now. Likewise, if you would require an easement over the property you are selling, get that easement approved. Completing this done ahead of time will make the process of selling the storage facility later a much cleaner and simpler process. 10. Maximize Ancillary Income – In addition to self storage rental income, there are several other income sources you should be receiving. Retail sales of boxes, locks, and bubble wrap, tenant insurance, truck rentals, billboards, and cell towers are excellent ways to increase your facility’s value. Obtaining approvals for billboards and cell towers if not present already may be too time consuming or impossible, but selling retail items, tenant insurance and offering rental trucks can be done easily. This may not be an exhaustive list and possibly you have done them all. Several of these items should spark some ideas for you as you plan that big step of retiring from the self storage business and place your self storage for sale. Hopefully, they help you squeeze a few more dollars from your years of hard work and so you may enjoy more time on the beach. Stay up-to-date on news and current storage listings from IRE. IRE, LLC strives to maintain an accessible website compliant with the Americans with Disabilities Act.